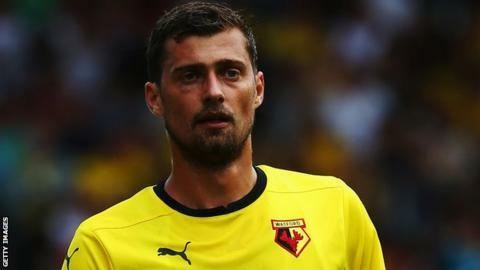 Watford defender Gabriel Tamas will miss the majority of the season with a severe knee injury. The 30-year-old was injured in Saturday's 1-1 draw with Bournemouth and will have surgery to repair a ruptured anterior cruciate ligament. He had featured nine times since joining from Doncaster in the summer and also played in a European Championship qualifier for Romania. The club expect him to be sidelined for "a number of months". "We will arrange an operation for next week," assistant manager Ruben Martinez told BBC Three Counties Radio. "With an ACL problem you can usually expect to be back within five or six months. But we have to wait and see what the surgeon says after the surgery."